Since I’ve been doing a lot of writing this summer I haven’t had much time for decoupage, except to make the wedding invitation plates that people order from me. I miss crafting. 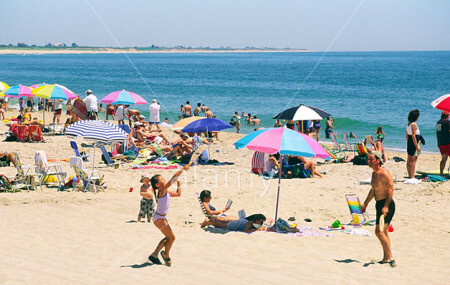 Summertime is a great time to have fun creating projects. However, for the past two years I’ve been designing decoupage boxes. 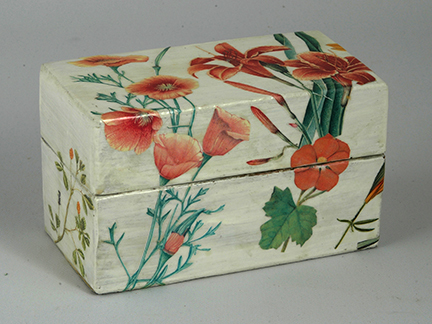 Many years ago, when I began my career, my grandfather made small boxes from scraps of wood for me to decoupage. These boxes were beautifully designed and proportioned, but not of any particular special wood. Therefore, on their own they were not lovely. They were made to be painted and used for covering with my cutout designs. I still have about four or five dozen left in the raw and little, by little I am working on them. At first I thought I’d have a show at The Nantucket Looms where I have sold my boxes for over forty years. But, as I finish each one in my leisure time, after months of working on it, I can’t think of selling them. This is a new concept for me. Knowing they are the very last ones I will ever have makes them more precious. My grandfather is long gone but I talk to him in my head and remember our conversations when he was making them so long ago. Together we decided on their sizes, shapes, the hinges and clasps each would have. It was a wonderful time and, in his retirement years as an architect he said I gave him purpose. Every year, while standing in line at the post office or Stop & Shop someone asks if I ever considered teaching a class in decoupage. My stock answer is often, “I’m saving that for my old age.” And while I’m not there yet, I love passing along information about the craft. However, rarely have I run into anyone who is so interested that they want to devote the time to finishing a project. I have to admit, it’s a labor intense craft. It’s not hard to learn, but it takes time and patience. It kind of goes along with my lifestyle ,which is rather hurried. It slows me down. I get to have thinking time. I like creating from my head on the computer, and then have this other creative outlet for my hands. If any of you are up for a creative project I think decoupage is quite satisfying. Anyone can learn the technique and if you’re at all creative it’s the perfect way to “paint” without knowing how to draw. You cut out the designs from printed paper and create a picture or scene or a pretty design with the cutouts. 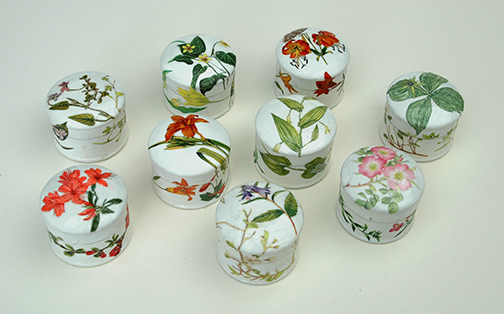 The little trinket boxes pictured below were my signature pieces at Tiffany for many years. I call it a trinket box, but at Tiffany they used them for displaying diamond rings. They are made of beech wood and are only 3 inches in diameter. It is time consuming to make them but they are small and satisfying. At the moment I am considering putting together a line of decoupage products to go with my branded home products at Marine Home Center so that anyone can try the craft. When I had my store on India St. we sold craft products and they were quite popular, especially with kids in the summertime. Maybe, even with all the electronic gadgets around crafting with ones hands is a terrific outlet that will always give pleasure. As the Craft and Hobby Association motto proclaims, “Crafts Are Life’s Little Pleasures”. Step 2: Cut out a design from wrapping paper, a book, a greeting card, etc. Step 3: Arrange the cutouts in a pleasing way on your 3-dimensional object and glue in place. Step 4: Apply many coats of decoupage finish, allowing each to dry before applying the next. Step 5: Sand lightly with #600 3MWetorDry sandpaper. Step 6: Rub all surfaces with very fine steel wool. Step 7: Apply clear paste wax inside and out. Buff to a fine sheen.